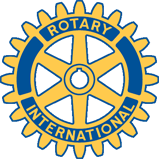 This event is held every two years and is organised by the Farnborough Rotary Club to raise funds for Phyllis Tuckwell Hospice in Farnham. 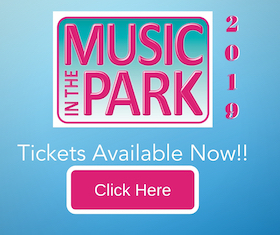 More than £363,000 has been raised over the years by Picnic to Music in the Park, now in its ninth year, and the club is hoping to exceed the £70,000 that was donated after the 2015 event. And on the Sunday SOUL LEGENDS… Featuring the hits of Earth Wind & Fire, Barry White, George Benson, Michael Jackson, Aretha Franklin, James Brown, Tina Turner, Lionel Richie, Sam & Dave and many, many more. Gates open at 5pm and the concerts start at 7.30am. Both evenings will come to a close at 10pm with a fantastic fireworks display. Tickets will be available on online and at the Phyllis Tuckwell charity shops. Tickets will also be on sale at various outlets, throughout the local area. 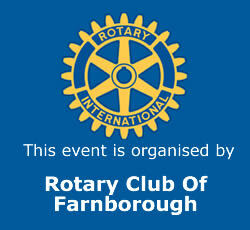 If you are coming by car, head for the playing fields in Sycamore Road, Farnborough, GU14 6PH. Gates open at 5pm and there is a free car park for ticket holders on the grass at the side of the event site. If the car park fills up before the start of the show, there will be two overflow car parks at Salesian College, Reading Road, Farnborough, GU14 6PA; from the College it is a five-minute (0.3 mile) walk via Canterbury Road to the playing fields entrance in The Grove, off Canterbury Road. The Farnborough College of Technology car park on Boundary Road, GU14 6SF, will also be available; from here it is a 10-minute (0.5 mile) walk via Boundary Road and Canterbury Road to the playing fields entrance in The Grove, off Canterbury Road. Farnborough Main railway station – for services from London Waterloo, Woking, Basingstoke and other stations served by SW Trains on this line. There is a large taxi rank at this station but during busy periods you may have to wait for a taxi. If you want to walk it will take about 21 minutes (1.1 miles) via the Clockhouse Roundabout, Church Avenue, The Crescent, Avenue Road and Sycamore Road to the entrance by the children’s play area. Farnborough North railway station – for services from Reading, Gatwick and Guildford. Taxis do not wait at this station so you will need to book in advance. Walking from the station takes 23 minutes (1.2 miles) via Rectory Road, Ashley Road and Manor Road to the entrance on Sycamore Road by the children’s play area. Late ticket purchases via the website will not permit sufficient time for posting and may require collection on arrival. There will only be one collection point for these tickets. After entering the car park on Sycamore Road, ticket collection will be from a desk at the left pedestrian entrance, known to the Stewards as Gate 1.